NGEI CHEE CHAU started a tile trading business with a few partners in 2002. But seven years down the road, even though the business was making a handsome profit, he did not feel a sense of satisfaction. The incessant repetitive work at the traditional tile trading operations was wearing him down, and he wanted to call it quits and move on. A restless young man, he was dreaming of doing bigger things. The turning point came when he walked into an Apple store one day to buy an iPhone. What happened next led to the reinvention of his business and the creation his own tile brand, Feruni. Ngei remembers the day clearly. He had picked up the iPhone and was so impressed by the design and classy presentation that he could not put the device down. Then inspiration struck. “I thought to myself: Why not repackage my tile business and start my own brand instead of running a traditional trading business [selling other people’s tiles] for the rest of my life?” Ngei tells Unlisted & Unlimited. Today, the 43-year-old is managing director of Feruni Ceramiche Sdn Bhd. And the company is a player to be reckoned with in the local tile making and trading business. Business has grown by leaps and bounds since the company’s rebirth five years ago. Revenue was more than RM100 million last year. Feruni now has seven stores across the country and a total workforce of 180. It designs and sells tiles as well as commissions the manufacturing of tiles in Malaysia, China, Spain and Italy. Feruni recently completed a revamp of its headquarters in Petaling Jaya. The renovation is aimed at complementing the company’s objective — to build a new corporate culture. Ngei sees this as a crucial step in its plans to venture overseas in the near future. Transitioning from a traditional trading business to a full-fledged brand isn’t an easy road to take. Once the idea had taken root, Ngei wondered what and how he should tell his business partners. When he finally plucked up the courage to tell them, his idea was rejected. His partners insisted on running the business the old way, which didn’t involve much risk. As a result, Ngei decided to break up with his business partners. It was a brave decision. “I didn’t know much about branding back then. The only thing I knew was I wanted to build a brand. I believed that this was the only way to move forward,” he says. Ngei’s thinking at the time was that there were not many ways a traditional trading business could compete with the big players. It was either to lower the selling price or extend the credit terms. This would eventually lead to a price war and bring about cash flow problems for all the players in the sector. “This was essentially how a traditional business worked and we were doing the same things every day. The competition became stiffer by the day and I was tired. The idea to start a brand was like seeing light at the end of the tunnel for me,” he says. 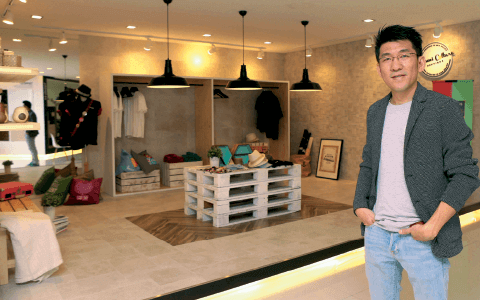 After making the decision to start Feruni, Ngei invested RM700,000 to build its flagship store. Next, he stopped selling other brands of tiles, even though they brought in good profits. Shortly after starting Feruni, business plunged 30%. Ngei was scorned by his competitors, some of whom even called him “dumb”. Within the company, he faced pressure from his own staff. The drastic fall in revenue had caused quite a stir. His employees were initially excited when they heard about the plan to build a brand, but the enthusiasm soon dissipated. Their confidence was badly shaken when the company started to lose money. And when they heard rumours that the company could fold, they were troubled. One evening after work, he decided to call for a management team meeting. He raised the question that was on everyone’s mind. “I asked them if they had a better solution for the company. If they did not, I told them to place their trust and confidence in me. After that, his employees were more settled and focused, and their contributions helped steer the company to success. Ngei is proud that Feruni’s revenue and profit have increased about 300% and 500% respectively since its inception. The key to his success? He replies, “Focus. Staying focused is important when creating a brand. “It is not very important what brand and how many brands you are selling when you are running a trading business, as long as these brands sell. But to build your own brand, you must know what you want your brand to achieve,” he says. An admirer of Steve Jobs, the co-founder of Apple, Ngei followed his strategy of allocating only a small amount of capital on marketing. Instead, he focused fully on the details of his products and service to provide customers with a new buying experience. Ngei has given tiles a fresh look. With the help of its team of in-house designers, Feruni has produced tiles of various materials, colours, shapes and designs. Customers can mix and match the different tiles to create their own unique wall or floor surface. As for customer service, Ngei and his team have come up with procedures to help them provide good service, which they constantly improve on, based on their customers’ feedback. “It is easy for competitors to copy your product or showroom, but it won’t be that easy to copy the SOP (standard operating procedure) of your service,” Ngei says. Most local small and medium enterprises (SMEs) fail to understand the importance of providing good service, he believes. SMEs often emphasise sales and results, but this may not be the key to growing their business and making it sustainable. “This is probably because some of the bosses of SMEs were previously salesmen. They fail to see the importance of service, which shapes the customers’ buying experience. If the service is bad, a business will not be sustainable,” says Ngei. Like the Apple Store, Feruni’s headquarters is a whole new experience for people used to the traditional office concept. Climbing the steps to the first floor, one is greeted by a nice coffee bar, where some staff were seen sipping coffee or working in front of the computer. 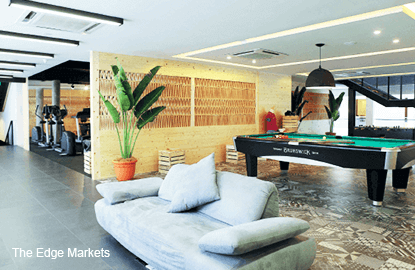 Adopting an open office concept, the employees share a common space. Even Ngei does not have a private office. There are two pavilions in the middle of the open space, which serve as the company’s talent and culture centres. The talent centre is where interviews take place. Interviewers will turn on the table lights if they think the interviewee is qualified. The cultural centre is for discussions or plans on improving the company’s culture. The headquarters is also equipped with a gym, library, performing stage, auditorium and PlayStation 4. Clearly, Ngei wants to keep his employees happy so that they can unleash their potential. This way, he hopes to nurture their talents and spur creativity. “People are the key to a successful business. While it is hard for your competitors to copy your service, it is even harder for them to copy your people,” he says. The biggest challenge, he says, is the retention of talent. Making sure employees are able to adapt to the new environment and culture is also an uphill task. Feruni has a comprehensive training programme to ensure that its employees are well equipped to deal with customers and understand the company’s direction, products and markets. “To equip our people with knowledge of the company’s products, service and culture is crucial. In the next five years, Feruni won’t be selling only products and service, we will be selling a concept, like what Apple has been doing,” Ngei says. When Feruni’s employees have embraced the new corporate culture and marketing approach, it will be the right time for the company to expand into the Asean market.